Would You Wash Your Hair with Bicarb and Vinegar? Would you switch from using regular shampoo and conditioner to washing your hair with sodium bicarbonate (also called bicarbonate of soda, bicarb soda or bicarb) and vinegar? Sounds completely crazy, doesn’t it?! Why would actually do something like that?! Well, I’m gonna tell you not only who, but also why, and…what happened when I tried it out myself! Who Would Wash Their Hair with Bicarb? I’m not talking about eccentric old ladies with too many cats, the ones who sit at the bus stop talking to themselves. Maybe they do too; I’ve never asked. But if you think they’re the only people who would do such a thing, you’d be mistaken. In fact, there’s so many people on board it’s even been described as a movement. It’s called the “no poo” (as in “no shampoo”) movement, but as someone who cringes at toilet humour, I try to avoid that description! No poo is bad enough, but combined with movement…nope, I just can’t (won’t) go there. However, if you Google it, you’ll be amazed how many entries pop up! Broadly speaking, converts fit into three groups – the environmentally conscious, the health conscious, and the thrifty. Their motives are all slightly different, but the outcome is the same – clean, shiny hair! Why Would You Wash Your Hair With Bicarb and Vinegar? There’s actually a whole heap of reasons. Shampoos can strip natural oils from the scalp, so the scalp produces more oil to compensate. This makes more regular shampooing needed to remove the oil, and becomes a vicious cycle. Feel like your hair is constantly greasy and needs washing every day? Ironically, your shampoo may be to blame. Dermatologists found that reducing shampoo use causes oil to be produced at a lower rate. Shampoos typically contain synthetic ingredients and their safety is increasingly under question. Parabens have been linked to endocrine disruption and neurotoxicity, and 1,4-dioxane has been labelled a probable human carcinogen. Sodium bicarbonate and vinegar are both completely safe – we put them in our food! Silicone derivatives such as dimethicone which are added to shampoo to coat the hair and make it appear shiny and more manageable are now thought to dry the hair out because they prevent moisture entering. Plastic! The majority of shampoo and other haircare products come in plastic bottles, which contribute to plastic pollution in the environment. In addition, flushing these chemicals down the drain does nothing for our waterways. Bicarb and vinegar are far cheaper than the majority of shampoos and conditioners, and if you’re on a budget, can help save money. It’s another way to simplify. 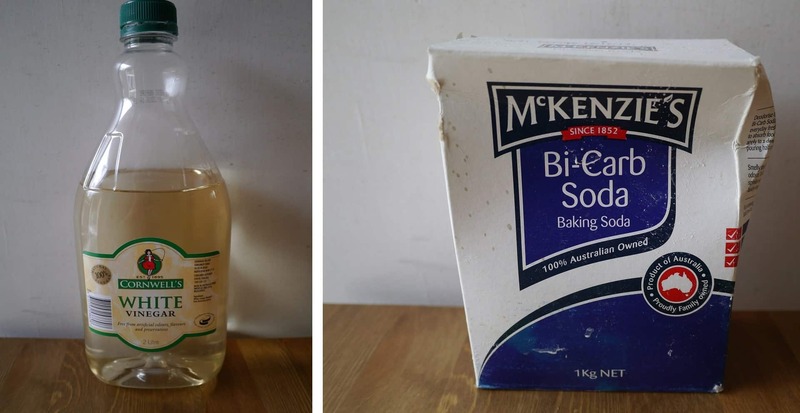 You probably already have bicarb and vinegar in the house, so why not multi-purpose them? By replacing shampoo and conditioner you’ve got two less bottles cluttering up the house, plus that’s two less things to run out of. What will happen to my hair?! If you’ve been using conventional commercial shampoos for a while, chances are you’ve got a lot of residue built up on your scalp, which takes time to wash away. You’ve also got to allow your sebaceous (oil) glands to slow down once they realise you’re no longer stripping the natural oils from your head. It can take 5-7 day for your scalp to adjust, but usually 2-6 weeks is more usual to break the cycle. During this time, your hair may seem a little greasier than usual. So what was my experience? My experiment began on 1st June this year. I’d been thinking about it for a while, and I decided that I should give it a go before making judgement! 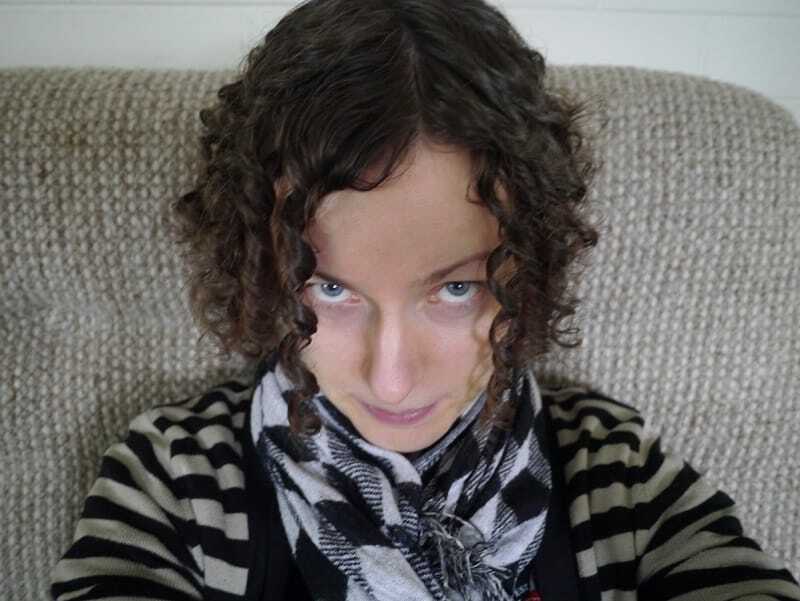 As a bit of background, I have reasonably short (maybe shoulder-length) curly hair. I haven’t used commercial shampoos and conditioners for two years; I use natural products made locally. I only wash my hair every 2-3 days – curly hair doesn’t like too much washing! Mix a few tablespoons of bicarb with just enough water to make a paste. Rub into your scalp and work towards the ends. Leave for a couple of minutes, and then rinse out. Mix 1/4 cup vinegar with 1 cup (warm!) water. Tip your head back and pour onto your scalp so it runs onto your hair, and rub in with your hands. Avoid getting it into your eyes – vinegar stings! The process was very simple, and my hair actually looked normal straightaway. There was no greasy hair, and no frizz problems. I was expecting a couple of weeks of bad hair days, but that never happened (or at least, no more than usual)! It definitely needs washing less. Whereas before I would notice my hair getting greasy after a couple of days, now it will last three or four. As for the vinegar smell… I read that the vinegar smell will dissipate after an hour. Not true! The first time I was paranoid that I was walking around smelling like fish and chips. I’ve since tried adding essential oils to the vinegar mix. Rose oil was too subtle and didn’t work. Lemon myrtle was a little overpowering. I’m currently using clove oil, which seems to be a good compromise. Lavender is often recommended but I really don’t like the smell. There’s plenty of options though, and they do work to mask the vinegar odour effectively. 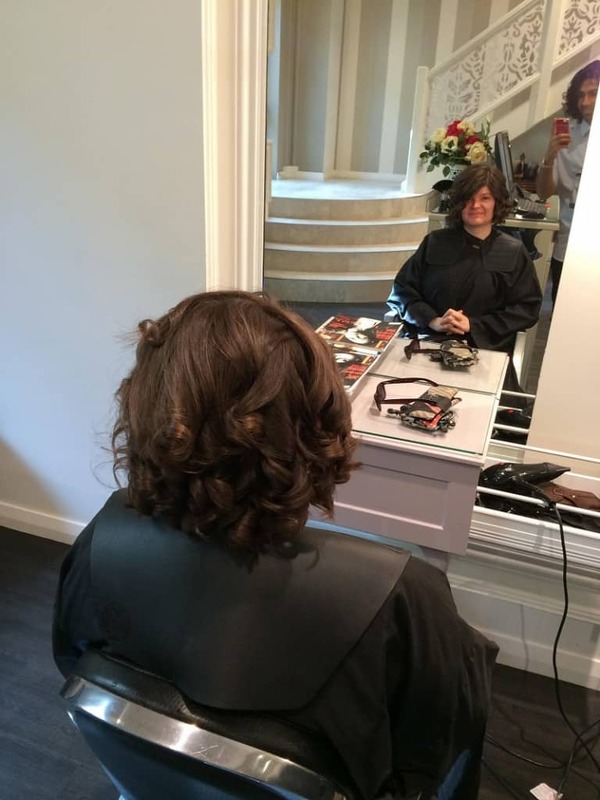 Everyone’s hair is different, and just because it worked for me, doesn’t necessarily mean it will work for you…but that shouldn’t stop you trying! Why not give it a go?! Now I want to hear from you! Do you already use the bicarb/vinegar method, and how have you found it? Did you try and admit defeat? Are you tempted…or is it something you’re still not even game to try?! I’d love it if you shared your experiences so please leave a comment below! 47 Comments • Leave a comment! 47 Responses to Would You Wash Your Hair with Bicarb and Vinegar? I’ve been using bi-carb and vinegar for about 6 months now and am more than happy with it. I don’t do the vinegar the way you do it though – I have vinegar in a spray bottle for cleaning windows (which doesn’t happen very often) and keep the bottle on my dressing table. I just spray it on my hair after I get out of the shower and rub it in gently. So you don’t rinse it out? I have seen that, but I haven’t tried that. Probably because I only have one spray bottle (for cleaning – but it’s got stronger vinegar, plus tea tree and clove oil in it too) and I don’t want to get another. Have you tried rinsing the vinegar out to compare? I’ll have to try out your method and see what I think! I have considered trying the bi-carb/vinegar method but I’m concerned about the smell (as well as salivating through the entire process!). I am currently using shampoo and conditioner bars by a Tasmanian company – earth friendly, cruelty free and no plastic packaging. It’s not the cheapest option but it works for me! Yes, the smell was a little off-putting at first! I don’t have many essential oils (mostly for cleaning) and I didn’t want to smell like cleaning products either. Clove oil is fine for now; I might try to get another that I like better down the track. It does mask the vinegar “scent”, thankfully! There are some really nice artisan cosmetics out there – but they’re not cheap. Fair enough, and I definitely believe you get what you pay for! I was fed up of having to trek halfway across town to get my bulk shampoo and conditioner – even though the lady is very accommodating. But not having a car (and her shop only being open on Wednesday afternoons) wasn’t making it easy! What’s the company you use? Ah, I think I’ve heard of that name, I’ll look it up. I only tried the bicarb once. I found it unpleasant (cold and gritty) but after reading this I might give it another chance. I did, however, switch to using diluted vinegar as a rinse, instead of conditioner, and I haven’t been tempted to switch back. I don’t mind the smell and the only person who has commented was my daughter when she had her nose to my scalp. Not many people get that close! I guess if you’re used to conventional shampoo with its endless lather, than it’s a bit of a shock! The shampoo I was using doesn’t contain sodium laurel sulphate (or any other derivatives) so it doesn’t really lather, so I was used to that. But it was much more soap-like than bicarb! Our minds think we need lather to clean our hair, but of course that’s not true. We just need to get used to it! Good for you for sticking with the vinegar though! If I had to choose one, I think I’d keep the bicarb but ditch the vinegar! Yes, the lack of lather was a problem. I also didn’t like the way my hair felt afterwards. I was expecting to have to take a while to adjust but I just couldn’t face it. Maybe now I know what to expect I’ll be able to stick with it until my scalp adjusts. Welcome to the movement (sorry, I couldn’t resist) :). 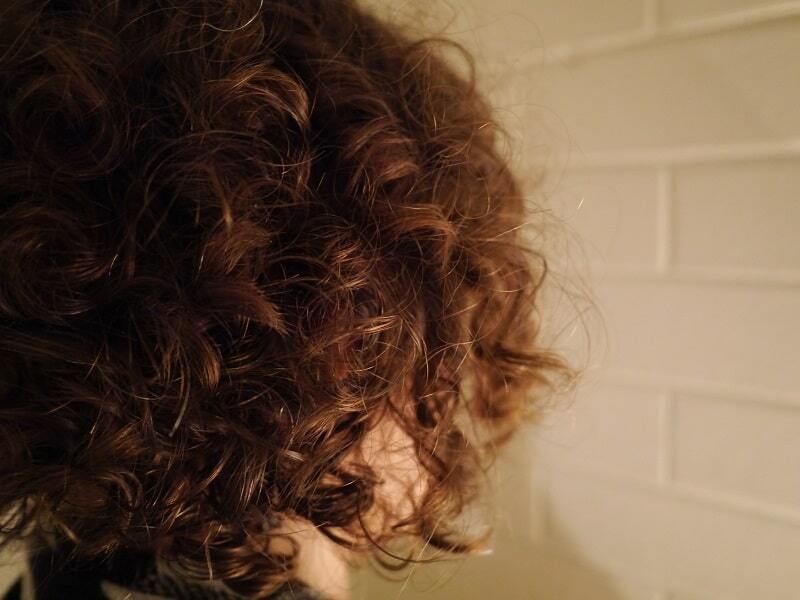 I have shoulder length curly hair and have been using bicarb for a while. I usually make a rosemary and cacao nib tea (very strong), about 1/2 cup each and dissolve about a tablespoon of bicarb. I wash my hair about once a week with the bicarb concoction and just with water a couple of times during the week. Dissolving the bicarb in tea means the water is warm – nice and comfortable for winter! 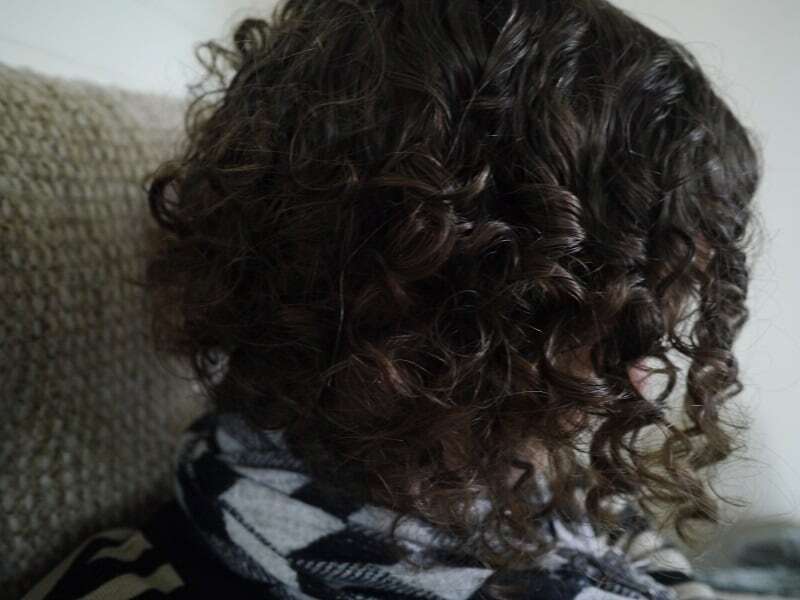 I haven’t bothered with vinegar but I use coconut oil while the hair’s still wet to smooth it down and it stays mostly in curls until I put my bike helmet on. After that, I have helmet hair :) My initial reason for switching was plastic packaging but now it’s convenient to get my regular cleaning supplies and they clean my hair and the house! Oooh, what does the rosemary and cacao nib tea do? (Aside from the warmth factor) Sounds exotic, but I’m not sure I could be bothered with the extra effort. Plus I like cacao nibs far too much to make shampoo from them! I’ve heard coconut oil is also good for hair, but I’m yet to try it. I’m thinking of getting a 10 litre drum to save on packaging (too many glass jars at the moment) so when I do, I’ll be using it for everything! Hmmmm… reading this I think I stick to the Lush shampoo bar I use since the past 6 or so years. I wash my hair once a week or sometimes even less. It doesn’t get greasy, only when I’ve dyed my hair and use that snotty stuff what they call conditioner. This method sounds like too much work for long hair and not really that much cheaper as my shampoo bar last me at least 6 months. I blogged recently about finally giving shampoo and conditioner (in plastic bottles) the flick, after finally finding an all natural alternative at my local market. Made with Hemp Oil, it’s a shampoo bar from Sally’s Soap Shoppe (on-line shopping available). It’s my first foray into shampoo bars, and so far so good. I’ve yet to purchase the Hemp Oil to use as a conditioner, and face moisturiser (the budget didn’t allow this week), but I also bought a beautiful bar of Macadamia soap, gentle enough for the face, so I can also ‘skip the plastic’ of facial cleaning products! I’ve read a lot lately during Plastic Free July about the Bi-carb and vinegar idea, but at this stage I am sticking with the lather! I bought hemp oil to use as a face cleanser – be warned, it stains EVERYTHING green! It also makes your face green if you don’t wipe off, which isn’t good if you want to use as moisturiser. It’s also quite expensive. I use almond oil now which is fairly readily available and I’ve found in bulk in a couple of places; jojoba oil and rosehip oil. I really don’t need three – I think I was a bit panicked when I gave up plastic, but now I need to minimalise. I don’t have space for three bottles in my bathroom cabinet! I love well-made soap full of natural oils, so good for the skin! And they really last, too. Lindsay, I switched to baking soda and vinegar more than a year and a half ago and will never go back. It’s great. I keep a cup in the shower that I add baking soda to then fill with warm water from the shower head, followed by a vinegar rinse. I keep my vinegar in a spray bottle and then spray the shower walls, tub floor before getting out. The first time I tried this my hair was so soft and manageable I couldn’t stop touching it. I suffered from dry flaky scalp my entire life but after the second washing it was gone and never returned. I can now comb my hair where before that was impossible even with conditioners. An added plus is that I also brush my teeth with baking soda and a bit of salt. When traveling I’ll fill a prescription bottle with plain baking soda and use that to both wash my hair and brush my teeth.One little container sure beats several products to pack. I am really pleased with how it’s working for me too! We are going back to the UK soon to visit my family, and I was thinking – all I need to pack in terms of bathroom products is bicarb…for shampoo, for deodorant and for toothpaste! The ultimate minimalist packing experience! It really is the minimalist packing experience. And it’s so cheap to purchase and can be found everywhere that you could even skip packing it and buy a small box at your destination. That’s true, although I’d hate to get there and find it was all packaged in plastic! So far baking soda is one of the few things that has not been packaged in plastic in the states. Lindsay, I never tried baking soda; but I have been using vinegar for more 6 months now and I love the treatment. I wash daily and whilst I know there’s wisdom to say let your hair adjust, I find it drives me nuts (I start itching my face and feeling dirty etc). I have a lush bar, and I know you’re not a fan, but it’s a little more ‘normal’ in some regards, I suppose, and got me around my desire to have less waste. Chicken! : p I think if you were going to give it ago, you could try a first step of reducing how often you shampoo your hair with your current shampoo? Then again, maybe it’s best to just go for it! I’ll be intrigued to find out if you give it a go…! I tried bicarb a few years ago and discovered to my dismay that my skin reacts to it, so my alternative is to use olive oil soap instead. My hair is long, thin and light coloured and I get a better shine when I do a cold vinegar rinse, perhaps I should try Cally’s spray technique as cold rinses are tough in winter!! Oh no! That must be annoying! My boyfriend reacts to bicarb in deodorant, but he hasn’t tried the shampoo method. Maybe it’s best if he doesn’t, then. He won’t appreciate sore red patches on his scalp. I try to rinse the vinegar off with cold water. I try to tip my head back as far as possible so the cold water runs down my hair and not the back of my head! It kinda works – yes, it will be much better in the summer! I use the apple cider vinegar to control my greasy roots after shampooing. I have heard that bicabinate and apple cider vinegar are a natural hair bleach. so not good for dark hair I should imagine. The bicarb wouldn’t be, but the vinegar might be – didn’t people put lemon juice on their hair in the 1980s to try to go blonde?! Living in Australia with the super strong sun, I haven’t really noticed my hair getting lighter, but I do wash the vinegar out. I know some people leave it in, so that might bleach hair a little more. Intriguing! I have been experimenting with no hair gel as well (mine is curly). Have been washing with soap and conditioning with apple cider vinegar diluted with water. Results are pretty good but a little frizzy. Have rubbed a little coconut oil on when dry to defrizz but it’s not the same results as gel. Can’t wait to try your idea! Question though- on the days you don’t wash your hair do you get it wet at all? I have been keeping it dry in between washings. Just curious. Still hoping to find a better outcome! What about trying a little oil when still wet? I find the vinegar makes me hair quite shiny actually, and it’s been so long since I used proper hair gel that I can’t really remember it! No, in between washings I try to keep it dry. Might get splashed but I try to avoid it. I find my hair is better, less frizzy etc if I wash I less often! Thanks for your comment and let me know if you have any successes. I’m going to try using rye flour instead of bicarb in the coming weeks so will let you know how that goes! I did this about a year and a half ago:) I caved back into shampoo when I started couponing>_< I need to get back to it though as my hair wasn't flaky and a lot easier to manage. Not to mention it didn't seem like I had so much falling out of my head every time I brushed! I still only wash my hair once or twice a week though because any more than that and it gets really oily and just gross. I haven’t used shampoo,conditioner, soap or deodarents for quite a few years now. I wash my hair under a warm shower 2, 3 4 times a week, depends on weather and what I have been doing. Instead of soap I use a flannel and water and bi-carb and cornflour mix makes a great deodarent. I also pray wh vinegar under arms after showering. I’m tight, lazy, wanted to stop chemical usage. It works for me and no-one says I smell bad. Maybe I do and just know people that wont say so!! Glad I found you, I have lots of reading to do now. I tried washing my hair with just water and it turned out great, but the next day my head looked like an oil slick : ( Something to try again in the future though. I’ve been using bi-carb and vinegar for over one year. I only wash it twice a week and no longer have to blow dry it as it doesn’t get frizzy any more and is more manageable. I have noticed recently that the ends were dry so I started using some conditioner on the ends–it’s winter here and with the furnace on, the air gets really dry. All in all, I’m a convert: I save time, don’t have plastic bottles of shampoo anymore, and can buy all the ingredients in bulk. I put 1 tablespoon of bi-carb in two cups of water and pour it over my head and rub it in. Then I rinse. Then 1 tablespoon of apple cider vinegar (ACV) in two cups of water, and pour it slowly over my hair with my head tilted back. Then I rinse again. I have a very sensitive nose, but I never smell the vinegar on my hair and it is very soft now. Thanks for sharing your experiences! Your routine sounds exactly like mine, although these days I have a tendency to use rye flour. It makes my hair noticeably shinier; the only downside is that, despite sieving, I have to shake out all the excess dried flour after my hair has dried! After my first fears of smelling like fish and chips, I have to say I don’t notice the smell at all either! My hairdresser who supports my use of bicarb and apple cider vinegar when I get my hair done said I could use a good olive oil or argon oil in the ends only if they feel dry. Thanks for the tip Sharon! Good to know your hairdresser approves (I haven’t told mine!) I’ve tried coconut oil – meant to be great for the hair but I looked like an oil slick had dropped on my head for the day! Ihave been doing bicarb and vinegar for over a year now. I do mine differenntly too. I dissolve one heaped tbspn of bicarb in a cup of warm water. Allow it to cool then add 2 drops of tea tree oil. I decant this into an old water bottle of my child (sadly it is plastic) and then use it as my shampoo. It feels slippery in my hair and rinses out well. I rarely do the vinegar rinse nowadays. I wash my hair avbout every 5 days. Thanks for sharing Tina, always good to hear other people’s versions! I’m not sure I could pour cold water on my head though ; ) Love the simplicity. Hi Lindsay, that sounds like something I definitely want to try out! I’ve been washing my hair for a time with a shampoo bar (don’t remember the brand) that contained some herbs and lemon balm. I liked it, but unfortunately, my hair looked horrible after a few weeks and it felt incredibly greasy. I tried out using a mix of vinegar with warm water after washing my hair to neutralize it … but finally, I went back to using normal shampoos. However, I agree with you that they contain so many chemicals that are more damaging than good. And unfortunately, natural cosmetics come in small plastic bottles, creating too much waste! I’ll use my shampoos until they’re empty, then I’ll give this here a try. Thank you! I googled how to help my 17 yr old son with his dandruff and since we switched to bicarb, vinegar and occasional natural shampoo bars for him the dandruff disappeared (and it was bad). I reckon it was the commercial products. When I first made a vinegar for my hair, I stuck a sprig of eau du cologne mint in the spray bottle. Smells lovely and really helps to mask the vinegar smell. This mint is strong and perfumey. You could also use chamomile, rosemary, other mints, or your favourite hair herbs. I tend to mostly use warm water or maybe a homemade shampoo bar these days. Sometimes a strong rosemary tea rinse, cooled to a warm temperature, if I can be bothered; make sure to strain any ants out if it’s flowering! Stale beer also makes an excellent hair rinse; full of B vitamins! Like the vinegar, you can pour it over at the end and leave it in. The smell goes away as it dries! Cider vinigar is less smelly I find.